Mix equal parts of each ingredient in a small container or ramekin. Exfoliate lips by applying scrub in a circular motion. For best results, use in the shower. Then, simply rinse and pat lips dry. So, we all know sugar maybe isn’t the basis of a nutritious diet. But, you know what? It’s definitely is a great tool to keeping your largest organ healthy, your skin! It makes a great base for any exfoliate! Take my coconut body scrub recipe for example. But, you might be wondering what the benefits of a lip scrub might be. Well, let me tell you. 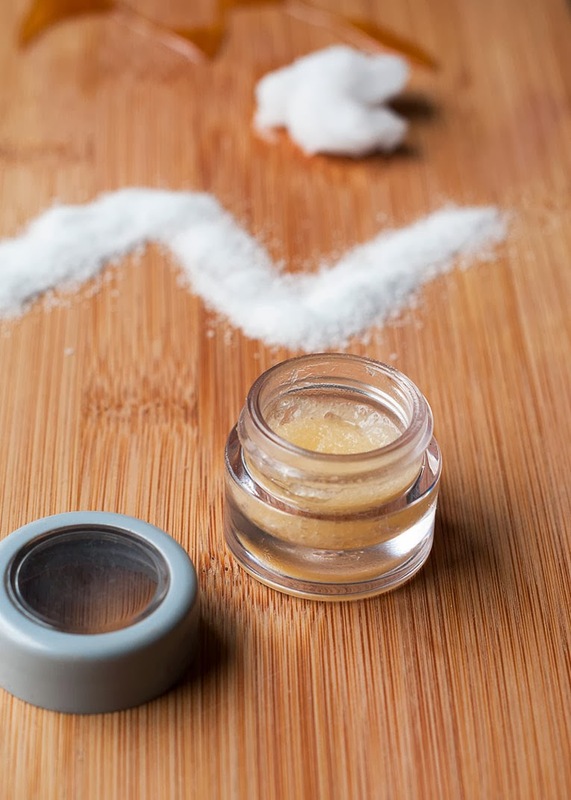 Lip scrubs are not just for the Winter months when you lips are dry and cracked. Oh no, they are great for all year! Did you know that when lipstick is applied to freshly exfoliated lips, it will go on with a smooth and even texture? Another reason why this scrub is so great is that it’s all natural and I bet most of you have these ingredients in your pantry! And, did I mention that it kind of tastes really great too? So, tell me…will you be giving this lip scrub a try? haha! I used an old eye shadow container! I will definitely give this a try, I’m going to go scrounge for some containers now. Yes! And it tastes so good! I’ve made this for myself before, and LOVE it – no better feeling! Must remember to make up another little pot soon…. Seriously…this winter has been brutal. Yeah, it’s a pretty simple recipe. I keep mine in my shower..next to my body scrub! And, I feel the same way…always have dry, cracked lips. It kinda stinks. Over the years, I’ve become addicted to burts bees for sure! Awesome! Yeah, it will last for a long time. In the fridge or just sitting out. All the ingredients are stored in my cupboard, so….no reason why it won’t keep forever! I actually keep my in my shower, next to my body scrub! It looks EXACTLY like mine! (well, which is kind of normal, since I use the exact same ingredients!). I always have a little pot of this in the bathroom, because my lips are cracked all the time. All-the-time. So boring. 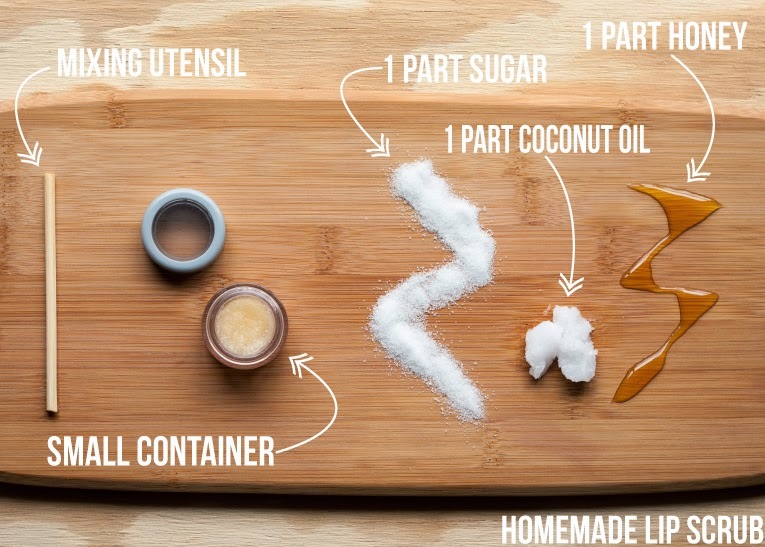 I’ve always just mixed honey & brown sugar together for a lip scrub, but I bet the coconut oil makes it much more moisturizing! Definitely going to try that 🙂 Do you know if this will keep in the fridge for any length of time?